Legend has it that the Greek god Dionysus (also known as Bacchus), the god of the grape harvest, of winemaking and wine, brought pleasure to mankind and wine to Sicily. 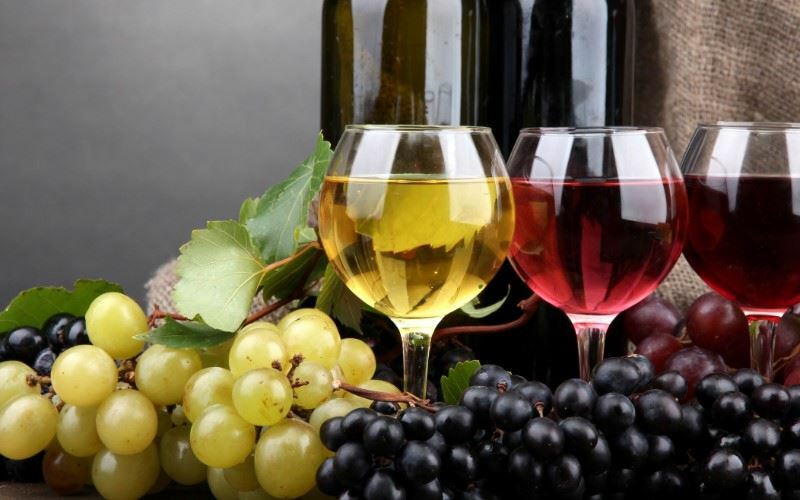 What is certain is that wine has been made in Sicily since ancient times. The soil and climate are ideal for the purpose and most farmers and smallholders would have had their own vineyard, producing wine for the family. The wines of Mount Etna, from vines grown on the rich lava terrain, were especially well-known, but many varieties of grape are now cultivated and many different wines produced in what has become a wine-lover’s paradise. Arrive at Catania airport, collect your hire car and drive to the Tenuta San Michele in Santa Venerina (45km). The property produces its own DOP and IGP wines, spumante (sparkling wine) and brandy. Overnight at the Tenuta San Michele. Day at leisure. Opportunity to visit the Murgo winery, located on the slopes of Mount Etna. The rich lava terrain gives a unique character to the wine and spumante produced in this region. In the afternoon, visit Nelson's Castlein Maniace. Admiral Horatio Nelson, one of England's greatest heroes has long been associated with this area of Sicily. The castle holds a great deal of memorabilia including family portraits, furniture, personal letters from Royalty and the decanter and glasses used by Nelson before the battle of Trafalgar. Day at leisure – take a morning dip in the Mediterranean at the blue flag beach at Marina di Cottone in Fiumefreddo (15km). Later, drive up to the pretty hilltop town of Taormina for lunch. Stroll through the town’s ancient main street with its many shops and boutiques and pause at one of the many piazzas for a fabulous view of Mount Etna, Europe's highest volcano (3320m). After breakfast, drive inland to the Agriturismo Gigliotto in Piazza Armerina (129km). Home to Nero d'Avola – a native Sicilian grape, Agriturismo Gigliotto is an attractive fortified farmhouse surrounded by acres of vines. The winery has a modern visitors' centre where guests can view the entire process, from grape-picking to bottle-corking. In the afternoon, head south to visit the ancient Villa Romana del Casale (18km), a UNESCO World Heritage Site. This fabulous Roman Villa contains a collection of some of the most important, well-preserved mosaics in the world. Overnight at the Agriturismo Gigliotto. Day at leisure. Drive south to the ancient archaeological site of Morgantina (28km) which dates back to the Bronze Age. Finds from Morgantina are on show in a little museum in the town of Aidone (2km) which also houses the statue of the Venus of Morgantina, a 2.4m statue believed to be Aphrodite and dating back 2400 years. Day at leisure. Spend the day visiting some of the island’s most important Baroque towns, notably Noto, Modica, Ragusa Ibla and Syracuse (Ortigia Island), located in the south eastern corner of Sicily. Opportunity to taste the rich dark chocolate produced in Modica following ancient Aztec recipes and the delicious local cakes and pastries with their unique flavours. After breakfast, drive to your next property, La Foresteria in Menfi. This picturesque, family-run winery is located in Sambuca di Sicilia in the Valle dei Belice, on Sicily's west coast. During the harvest season, guests are invited to participate in the winemaking process. Enroute make a stop in Agrigento to visit the impressive Valley of the Temples. This ancient, archeological park has six Greek Temples including one of the best preserved Doric Temples in the world. Overnight at the La Foresteria. Day at leisure. Visit the Cantine Florio in Marsala. The Woodhouses, the Inghams and the Whitakers were late 18th century English traders and merchants who became wealthy through exporting Marsala wine to England and the United States. They fortified the local wine with alcohol, using the Spanish solera system, thus enabling it to survive the long sea journey back to England and across the Atlantic. This was hugely successful and their successors continue to this present day, although there are no longer any members of the family left in Sicily. At the Cantine Florio, one can still admire (framed on a wall) Nelson’s original order for wine for the Royal Navy, with which it was understandably very popular, signed by him as Duke of Bronte. After the Battle of Trafalgar it became, for a time, known as ‘Victory Wine’. Day at leisure – Visit La Planeta family cellars and oil mills for tastings and lunch (payable locally), or head to Menfi to sunbathe on its 10km stretch of sandy beach. After breakfast, drive to Palermo airport for your return flight home. Since 1850, the Tenuta San Michele has been devoted to the cultivation of vines and the production of the famous Etna wine, thanks to its favourable position on the slopes of Mount Etna (500m above sea level), which rises to the south east of the property. The origins of Gigliotto can be traced back to the 14th century, to the monastery next to which, in later years, arose the farm which today forms the heart of the building.